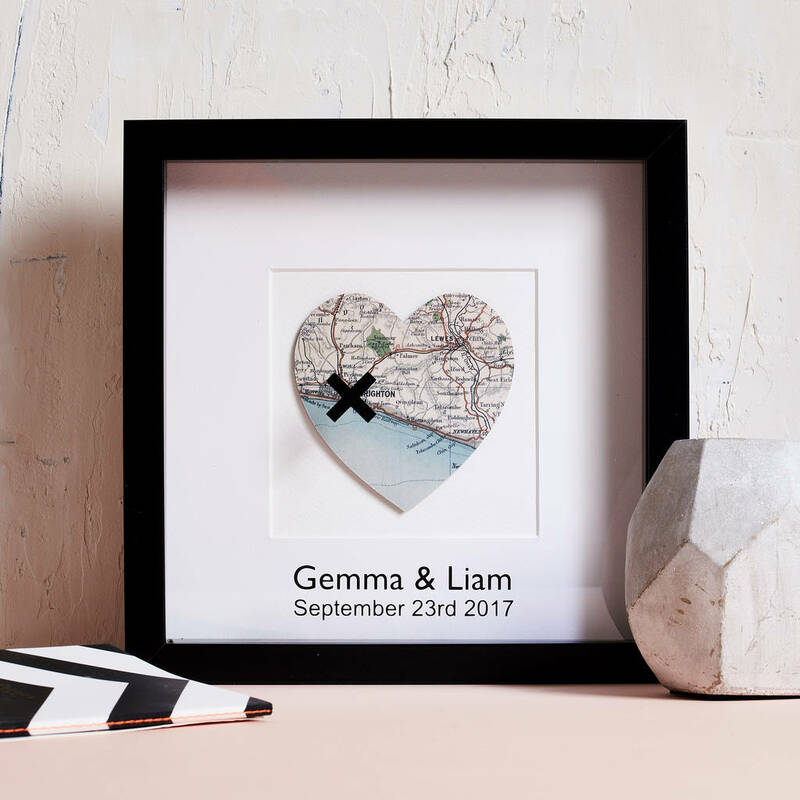 A unqiue design personalised cross-marks-the-spot vintage map picture with your choice of location. 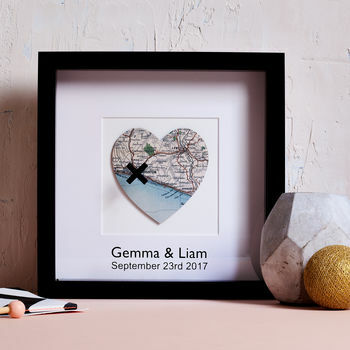 These charming pictures are handmade using our vintage collection of maps (please see note below) to show your chosen location. Designed in our studio, we will then mark your chosen location with a cross. 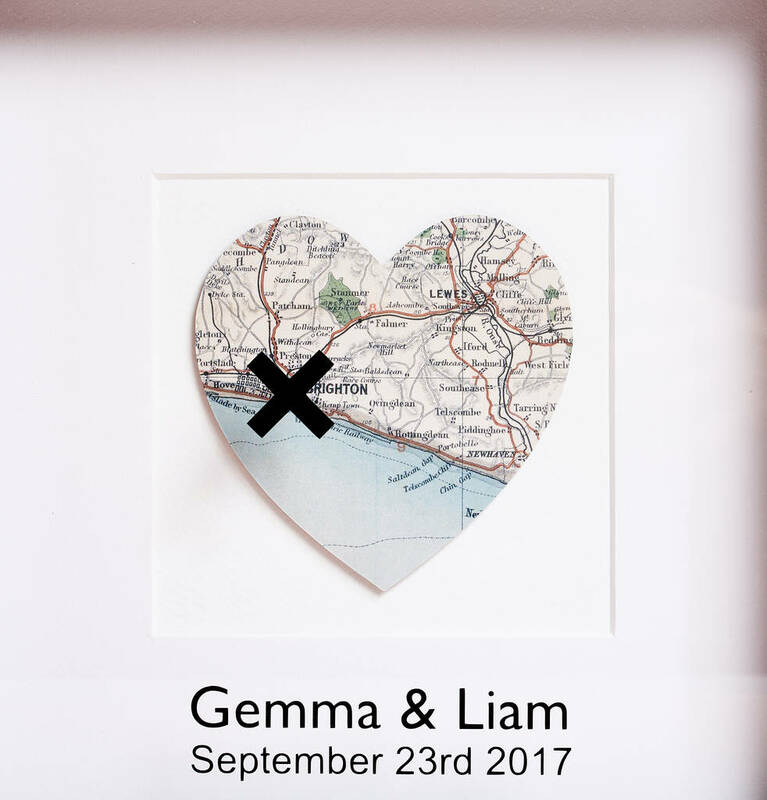 The picture can be purchased frame or unframed. 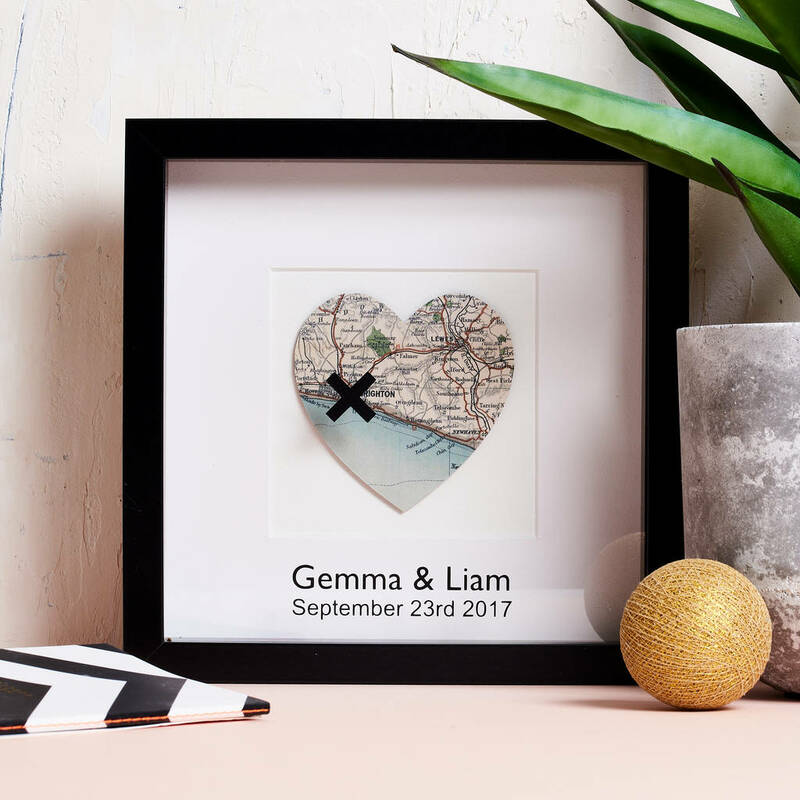 A beautiful gift for a wedding, honeymoon, first house or the birth of a new baby. 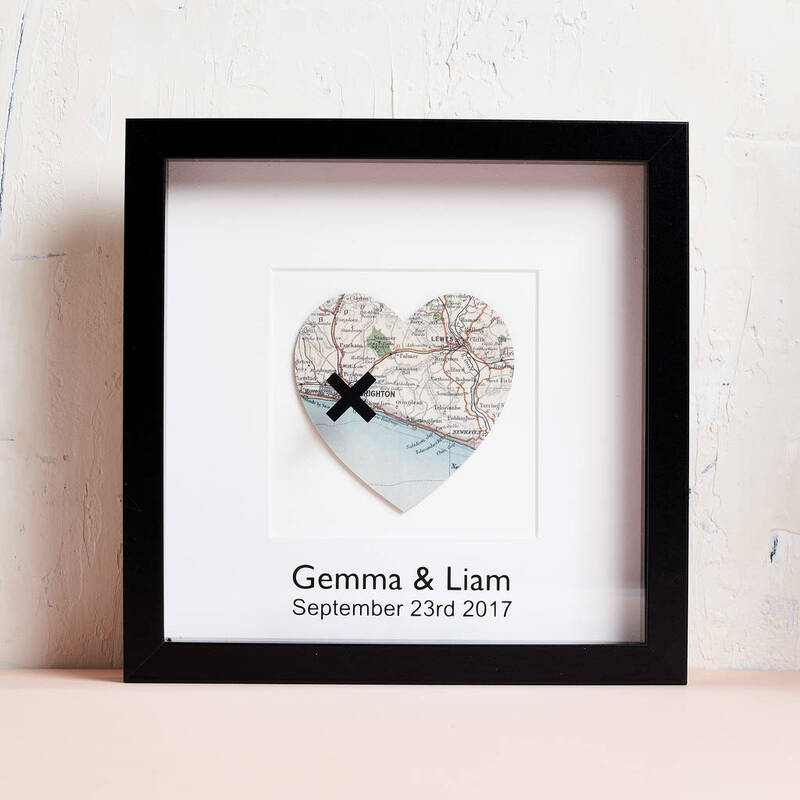 The frame measures 23cm x 23cm and inside the mount measures 12cm x 12cm.